If you're going to post a huge image, please place it in the spoiler tags so it doesnt stretch the page. Last Movie Watched: Leprechaun (1993). Last TV Show Watched: Power Rangers Zeo (S1:E6). Last Video Game Played: Sonic Forces (Xbox One). Sorry about that. I didn't think that it would be so big. I'll be more careful next time. He was and will be one of the greats. With all the talk about CGI and animatronics, their is something indeliable about him and Godzilla suits. Cheesy, maybe but for the time it was needed. Even more so considering Toho's reputation for being cheap. He did his work with gusto and all Godzilla fans love him for it. He will be missed, but still loved and remembered. 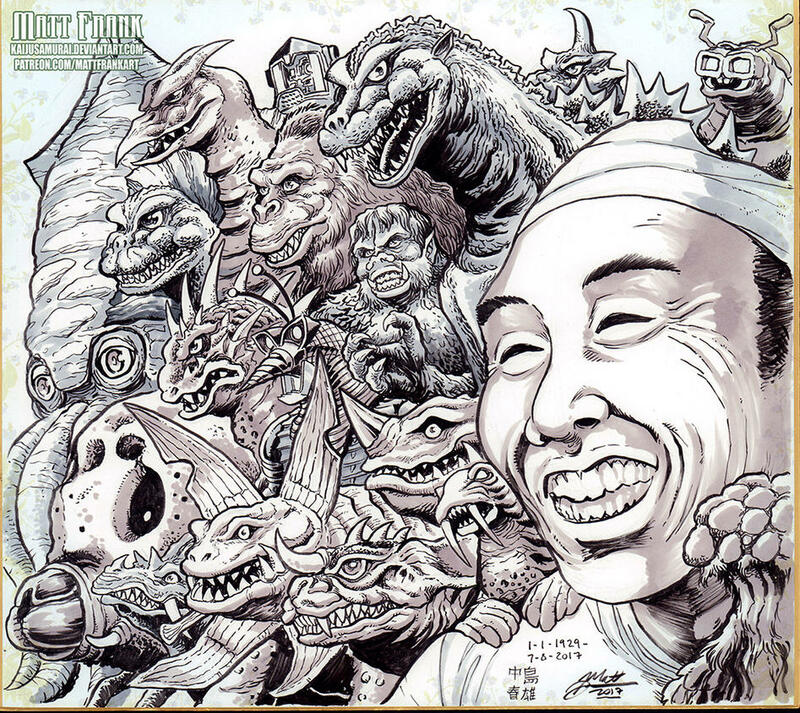 Matt Frank made this tribute to Haruo Nakajima via his Deviantart page. I loved Godzilla in a suit. I realize that would look ridiculous now but back then it was very fitting. I still have a box of about 20-30 Godzilla VHS tapes. That's really cool. This film could turn out to be a mrga fan pleaser if the story and action sequences are good. We have an idea of what Godzilla will look like in Godzilla: Planet Of The Monsters. There will definitely be a winner in GVK!!! Personally I don't see them killing either one, but I'm glad they're willing to take a stance on a victory. But maybe I'm wrong because he says it needs to be emotional. In a monster movie like that, there doesnt need to be a winner to be honest. I'm cool with it being a winner as long as it's not like a killing blow. What... if, Godzilla is actually, the most misunderstood, super hero, we ever had? call him when Rodan attacks? did you know I found kanji, for his name? who else would you call? I like you guys, how are you? who's real? Sad News. Yoshio Tsuchiya, the veteran actor of multiple Godzilla and Ultraman movies, has died at the age of 90. His final appearance in a Godzilla movie was 'Godzilla vs. King Ghidorah' where he played Mr. Shindo. I always get so awkward when I see people dying at 90 or something. Mainly bc i have a grandparent at 96 who's still able to walk/live unassisted just got me paranoid sometimes. 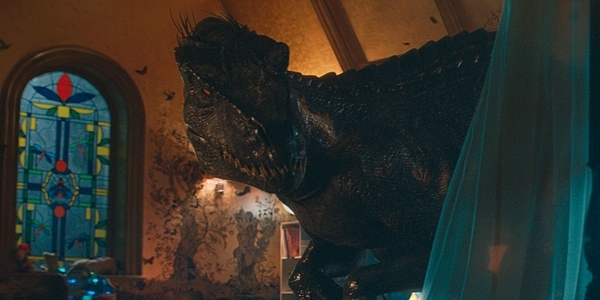 Read my Story Jurassic Park: Chaos Theory! Omg dude my great grandmother is 93-94 and still in pretty good health. Usually people our age don't get 20 some years with great grandparents, lots of people don't get any years with them period. Cherish them please, they are walking miracles . I understand the paranoia though. Back on topic. Didn't we have a Godzilla actor already die this year? Rip. Rest in peace though, implies that you know the truth, and the truth would be? That would imply I'm talking about the actor he just said died. That's what that means. No, saying "rest in peace" means you're hoping they're finally at rest, at peace in the afterlife. We might have our first look at Godzilla in Godzilla: King Of The Monsters. It seems they are being fairly faithful to 2014 like look. In other news filming wrapped. 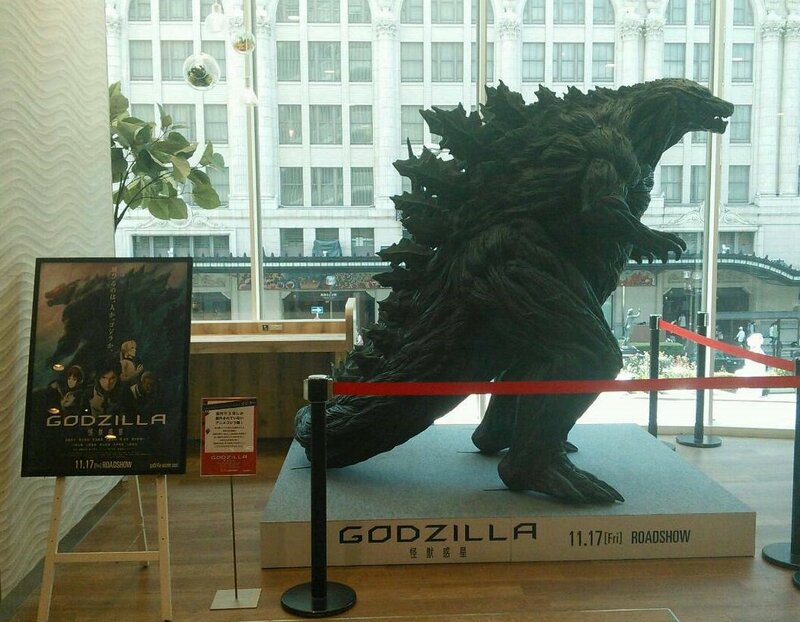 Also first official Godzilla store opens before long! I'm really surprised that filming wrapped up so soon. You'd expect movies to come out in the second half of 2018 or very early 2019 with the filming being wrapped up as fast as it did. + 1, they only filmed for 3 months, compare that to Godzilla 2014 which filmed for 4, seems this film will be pretty short, maybe JP3 short? Given that they have to introduce 3 new monsters on top of showing Godzilla I certainly hope not. Maybe this means there is just a ton of CGI monster battles? I saw people hoping that on toho kingdom. But like, a "wake" as opposed to a funeral, doesn't imply they were set to try and wake the sleeping dead? Why else would it be, rest in peace, anyway? Culturally, I'm not obligated to believe in death science. What do you know? Does anyone think Godzilla might have been the opposite of what they say? Like, Rodan attacks, and it's Godzilla神鱠 you call? Catydids kill pray mantises, you're not supposed to think they're monster evil, you know? Do you think Godzilla is literally evil? This also fits with the Pacific Rim thread, but I decided to put it here. The Godzillaverse-Pacific Rim crossover may eventually happen. Unpopular opinion: I think Godzilla 1998 is, in many aspects, a superior film to Godzilla 2014. Though I do think that 2014 sets up the lore better. "A creature of the future, built with pieces of the past!" "This is the most dangerous creature that ever walked the Earth!" "That thing cannot leave this building." I like Godzilla 2014 much better as a “Godzilla movie”. But I agree. The 1998 film has tons of charm and is so much fun! I watch it Everytime it comes on tv when I’m surfing. » Say, let's talk about that weather! » Come with me if you want to live: Terminators, Cyborgs, and Conners! Oh My!